I want the hat. I’m willing to tussle for it. • The Clan is pulling up stakes again. Our landlord has decided to remodel and sell the place where we’re living now, so we’re fixin’ to move this fall. Fortunately, Marilyn and I are entirely simpatico on our goals and desires for the move, and delight in the opportunity to pare down yet again. We figure it’s just another step along the trail to the ultimate goal, which is an Airstream in Apache country. Ceili is already planning her continuing adventures in the civilized world beyond the borders of Clan lands, so it’s not like we’re disrupting her world at all. This endeavor may disrupt my writing a bit, but probably not too much. I have some longer historical pieces in the works, including my long-overdue piece on The Apache Kid. • Autumn is my favorite season. Like Paul McNamee, something in me is triggered by pumpkin spice. The past few days have carried more than a hint of autumn in the crisp morning and the angle of the light. It’s a welcome change, since our apparent new normal for summer is days of dense smoke. We haven’t had a local wildfire, but the rest of the West is burning and between California and British Columbia, we have been bequeathed a hazy summer. So… welcome autumn. • September sees the release of The Sisters Brothers, a dark Western comedy set in Oregon and California during the 1850s. My friend Jack McGowan really liked the novel that it’s based on. • Mayans M.C. drops on FX on September 4. So far, I like what I’m seeing and hearing about Kurt Sutter’s latest outlaw drama. • Hold The Dark drops on Netflix September 21. Looks really good, and I’m told I must read the book upon which it’s based. • Outlander Season 4 arrives just in time for me birthday. Colonial North Carolina. Regulators and Moderators. Cherokee (and errant Mohawk). A mysterious skull. Last week, I listened to an episode of Outlandercast (podcast) that did a nice job of sketching out the historical background of colonial North Carolina. Worth your time. Speaking of podcasts, I also enjoyed The Iroquois History & Legends Podcast on The Battle of Taughannock Falls. A classic frontier tale. 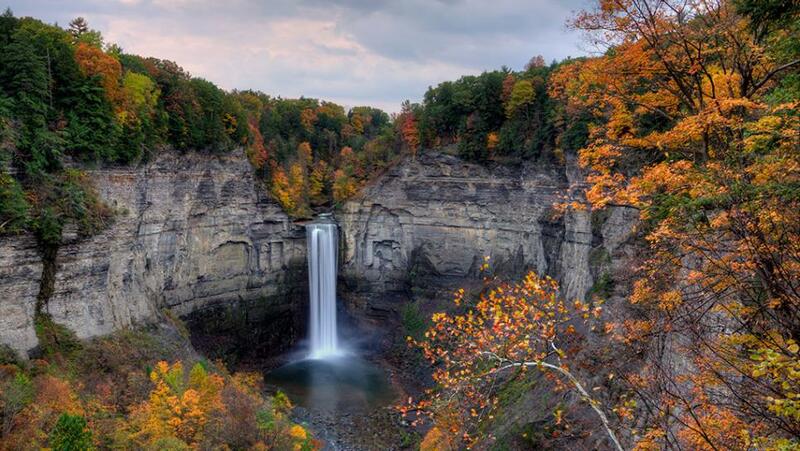 Taughannock Falls in New York — the perfect spot for an epic battle between the warriors of the Longhouse and Delaware rebels. There is something quite satisfying about listening to a tale of indigenous mayhem in the deep forest while setting up to shatter a legion of clays. • Outlaw King also drops in November. I have become more and more enamored of the dark, wild, soiled glory of tale of Robert the Bruce and have come to see The Declaration of Arbroath as a key document. • With the recent dust-up over what appears to be the beginning of expropriation-without-compensation in South Africa, and the likely diaspora of what’s left of the Afrikaner farmers in the country, it is timely to remember that there was an earlier Boer diaspora. In the immediate aftermath of the Anglo-Boer War of 1899-1902, a fair number of Boers emigrated — most famously the guerrilla commander Ben Viljoen. Scholar Andrew Offenburger has been working on a much-anticipated tome on the attempts to create Boer colonies in the U.S.-Mexico borderlands. Here is an interesting piece on the Boer connections with a hacienda in Chihuahua. The Boers might have done well in Mexico, but revolutionary tumult put paid to colonial ambitions of all kinds, including a project in Yaqui country involving the Boers’ nemesis, Frederick Russell Burnham. 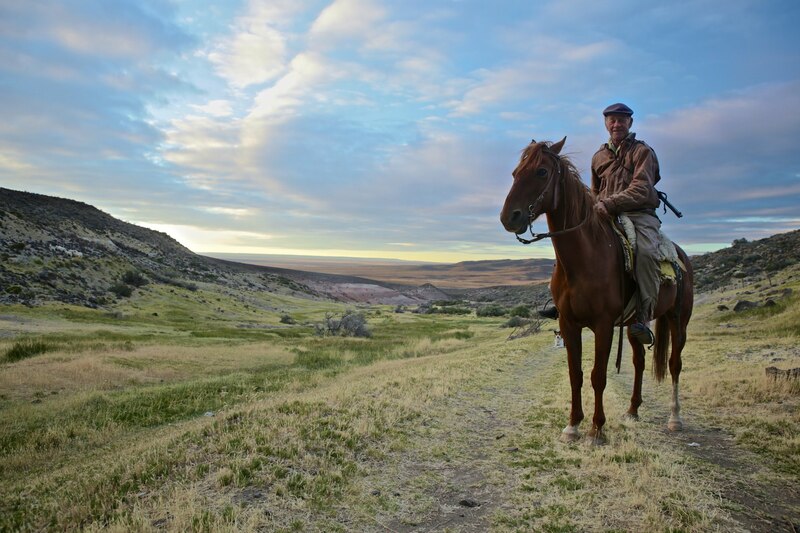 It is striking that the Afrikaners in the film continue to identify as Africans, feeling an acute nostalgia for a homeland they have never seen. • It is curious how much staying power Robert E. Howard has had for me, over a period of decades. I discovered his work at about the same time that I discovered the story of Simon Kenton — both thanks to my brother’s influence. I have a powerful mental image of the first time I saw John’s Lancer Conan books with their Frank Frazetta covers — they made that strong an impression on me. But it was the content that pulled me in and has never let me go. It’s not hard to understand. Howard, a Texan, was deeply steeped in a frontier ethos and mythos, and it thrummed like an E-chord through all of his work, regardless of setting. Howard’s most famous creation — Conan of Cimmeria — is getting yet another graphic treatment, with rights reverting to Marvel Comics. This would ordinarily be of little interest to me; I would happily stick with Tim Truman (a Frontier Partisan himself) and his Dark Horse run. But our correspondent Matthew scouted up an interesting piece of intel: The new Marvel Conan will be written by Jason Aaron. Aaron wrote the excellent rez-noir tale Scalped. OK, now this has my full attention. 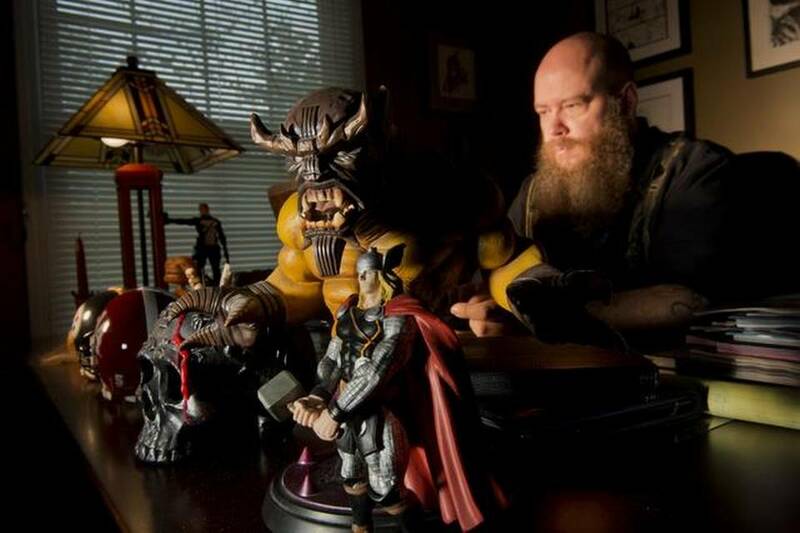 “I’ve literally been preparing for this job since I was 13 and discovered my first Robert E. Howard Conan paperback in a used bookstore in my little hometown of Jasper, Alabama. I devoured every Howard book I could find after that, and I’ve been making up Conan stories in my head ever since. Now I finally get to do that for real, alongside the amazing Mahmud Asrar. So this opportunity means an awful lot to me, and I’m cherishing every blood-splattered, spider-haunted second of it. Glad to know you are interested in the new Conan series. 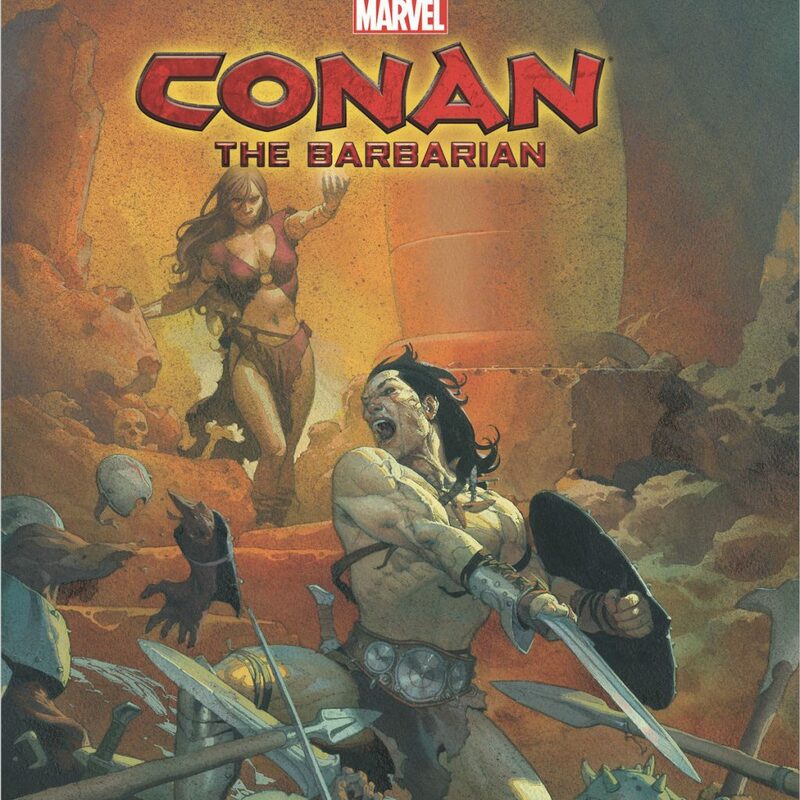 From what I understand, Marvel is supposed to be putting out three Conan comics. Don’t know who the other creative teams are though. 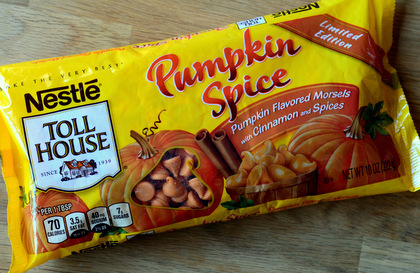 In my day pumpkin spice was called college football. I just cracked open the Del Rey collection of Howard’s Solomon Kane stories. Somewhat surprisingly, the first story reminds me of Manly Wade Wellman’s Silver John stories. They are both wanderers that encounter and battle supernatural evil, so yeah. The Kane stories are more action oriented because it’s Howard, but I think they both have similar themes. The one thing about reading the Kane stories that is frustrating is that there are so many fragments. I really wished Howard had completed the stories. Some collections have stories completed by other authors, though. Wow–whatta bunch of neat stuff comin’ up! I tell you what, the ole Frontier Partisans blog has shore enuff put me ontah quite a few good books and movies over the years! (gosh, has it been YEARS now? ).And sink-wren-awe-city again, in regards to yer future Apache Kid writin’, I JUST finished a SUPERB book–originally written in Norweigan by an incredible modern Norweigan explorer-of-sorts Helge Ingstad–only fairly recently translated in English, simply called “The Apache Indians”. Reasonably attained off’n Amazon. Worth every penny and MORE! I have been reading excerpts and footnotes from this book regarding the last “wild” Apaches hanging on deep in the Sierra Madre, decades after Geronimo’s final surrender, and now I FINALLY got to read the firsthand account of this fellow’s expedition and what he discovered there, including what seems to be a rather definitive answer to the “mystery” of the Apache Kid’s demise. A lot of the “mystery” involving these holdout Apaches was no mystery at all to the Mexican communities that were still having to deal with them, which amounted to the same old extermination policy, and retribution and survival raiding by the Apache, well into the 1930’s! And there were still some hideout remnants, according to the evidence Ingstad discovered, into the 1940’s! Only a few pitiful remnants, mostly women and children, at that point. He had on his main expedition, as a guide, none other than Yanohzah, who had been with Geronimo on his last wild breakouts, and he interviewed and recorded Yanozah’s recollections in detail. And Yahnozah led him to all the specific sites in the incredible region of the Sierra Madre. It is an INCREDIBLE adventure, recording all manner of encounters with amazing characters that had, not only contact with “wild” Apaches, but people with recollections of Pancho Villa and the revolution and other fascinating aspects of Northern Mexican history. A lot of his informants and guides were the Mormons who migrated to and set up communities in Mexico–reminding me a bit of the transplanted Boers mentioned in this post! This book a MUST for those interested in these subjects!…. 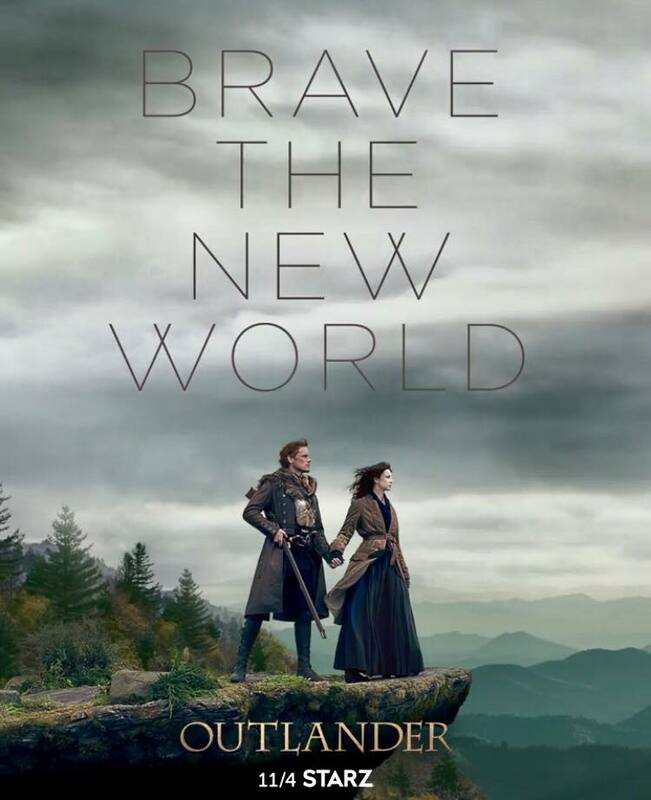 And yeah, will I ever be looking forward to “Outlander”in colonial North Carolina–at last!…..And I’m wondering if that “Hold The Dark” is going to end up being a clan of werewolves? Hard to tell exactly WHAT that’s gonna be about from the trailer–but it does look intriguing. 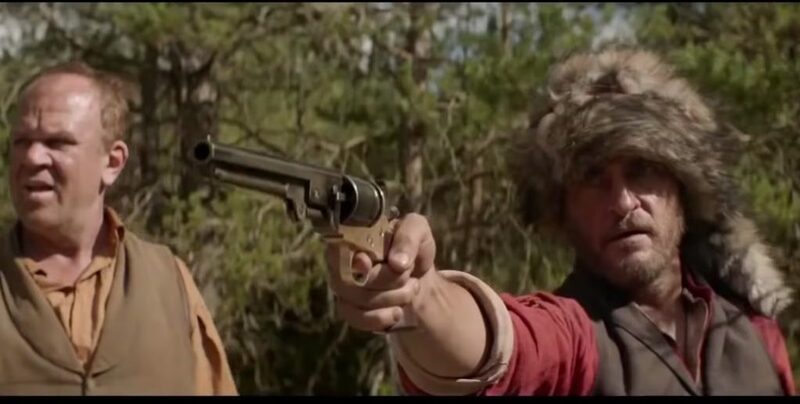 I’d rather it NOT be yet another inaccurate, murderous negative portrayal of what are supposed to be real wolves, more especially after the index finger overusage I just finished over on the Wolf Wars commentary a few posts back! Gotta have time to grow it back! Every time I read one of your dispatches, I’ve got another dozen books and I’m supposed to read. Good lord man! Crazy amount of things going on. Thanks Paul. BTW, you are responsible for adding to my work load. I’ll PM you with the details.